On 5 July 2018 Garsington Opera stages its first festival world premiere. Based on award-winning novel The Skating Rink by Chilean author Roberto Bolaño, the opera tells a thrilling tale of jealousy, political corruption and passion. 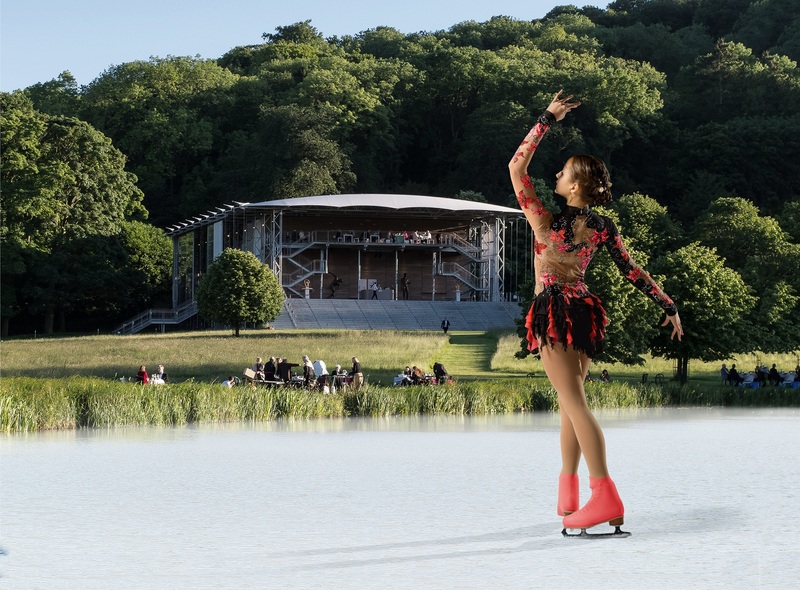 Set in a seaside town on the Costa Brava, the production will feature live figure-skating and an exceptional cast. The story of The Skating Rink is told by three narrators, revolving around Nuria, a beautiful young figure-skating champion. When she is dropped from the Olympic team, Enric, a besotted civil servant, pilfers public funds and builds her a secret practice rink in a deserted mansion. Nuria has affairs and the plot soon spins into blackmail, bad faith and treachery; the skating rink becomes a crime scene. Stewart Laing directs and designs, supported by regular collaborators, including Korean-born Costume Designer Hyemi Shin, who was the overall winner of the 2011 Linbury Prize and recently designed The Return of Ulysses (Roundhouse/Royal Opera). Garry Walker conducts and the cast includes: Neal Davies (Enric), Susan Bickley (Carmen), Alan Oke (Rookie), Sam Furness (Gaspar), Lauren Zolezzi (Nuria), Ben Edquist (Remo), Claire Wild (Caridad) and Louise Winter (Pilar). BBC Radio 3 will record a live performance for broadcast in the autumn. This press release was distributed by ResponseSource Press Release Wire on behalf of Clare Adams Publicity in the following categories: Entertainment & Arts, Leisure & Hobbies, Sport, for more information visit https://pressreleasewire.responsesource.com/about.